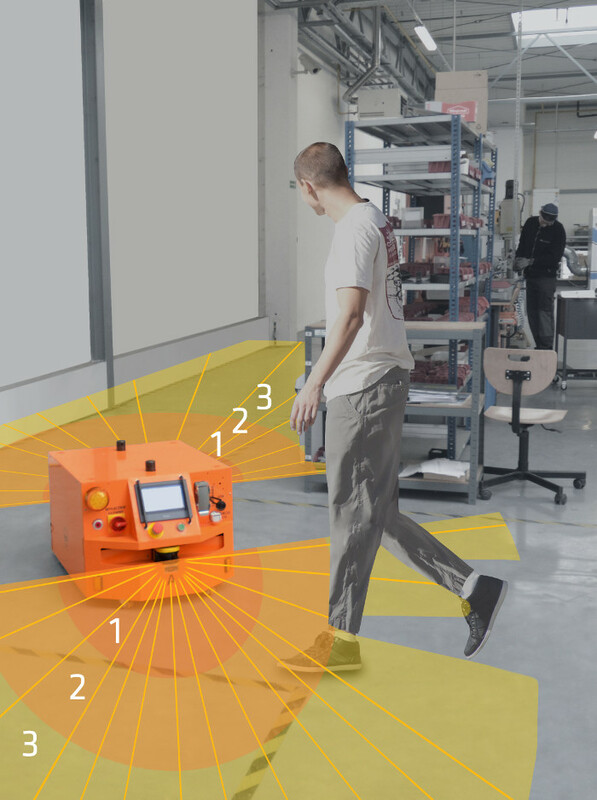 The laser scanner with the safety function is responsible for obstacle detection appearing before the AGV robot. Thanks to his action, AGV can react accordingly by slowing down or stopping completely to avoid collisions. 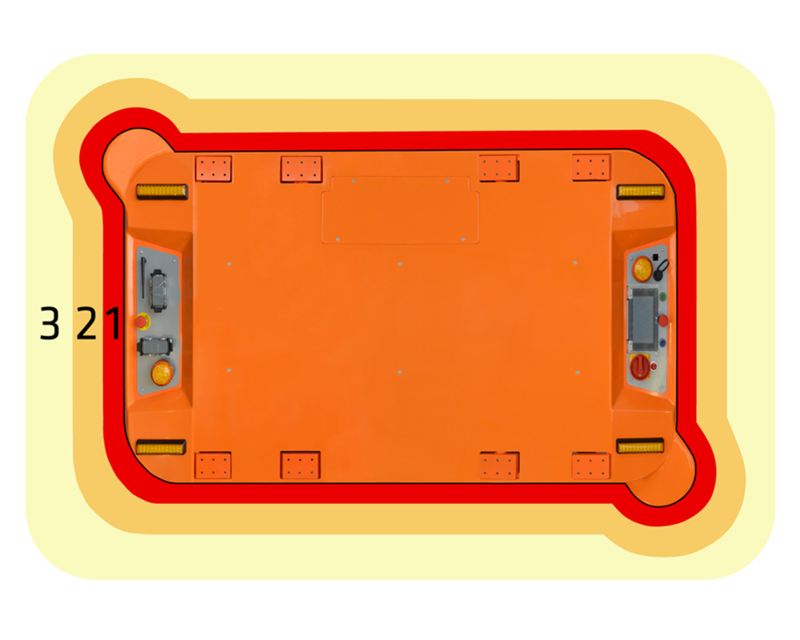 The scanned space is divided into three zones, which allows the robot to behave differently depending on the situation. Reactions in zones 3 and 2 consist in speed limitation and signaling a possible collision. If an object appears in zone 1 of the scanner, the robot stops immediately. 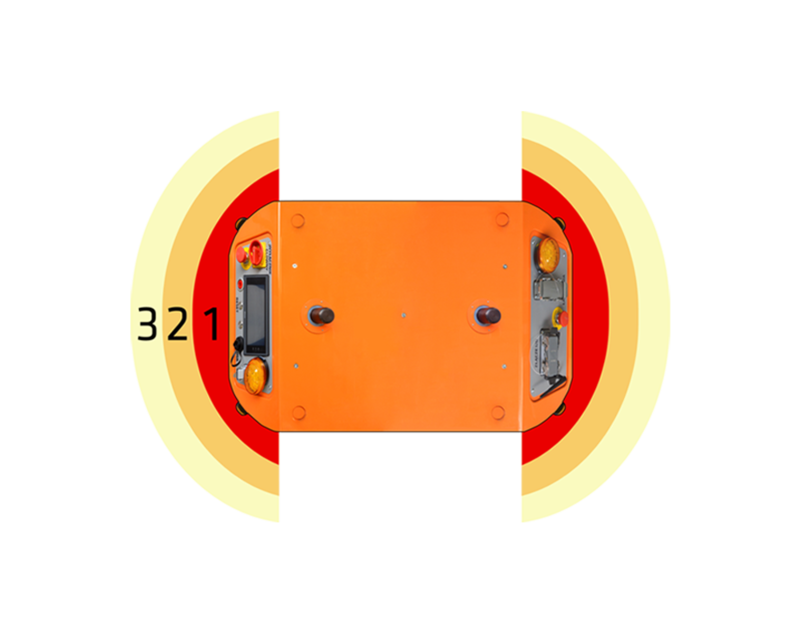 The robot safety system is compliant with the SIL2 security level requirements.